It's no surprise that Greenville, South Carolina is one of the most interesting places in the United States. Don't believe me? Livability.com, U.S. News and World Report, and CNN are just a few of the sources who claim this. In 2014, Livability ranked Greenville 33 out of 100 for best places to live in the US. In 2012, CNN reported Greenville as one of the top 10 fastest growing cities (and Greenville has greatly expanded since then). In March of this year, World Report ranked Greenville number 35 in best places to live. 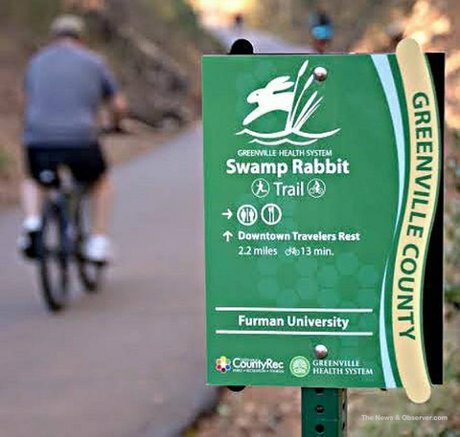 Greenville offers so many things for its residents and its visitors. If you are new to the area, you are undoubtedly taken aback by all of the things the city has to offer. Hey, if you're a long time resident, you may feel like you've done everything the city has to offer. Fear not, for I am about to bring you an extensive compilation of events and activities in Greenville so that you have something to do for every sunny Saturday, date night, anniversary, birthday, celebration, girl's night out, guy's night out, rainy day … well, you get it. 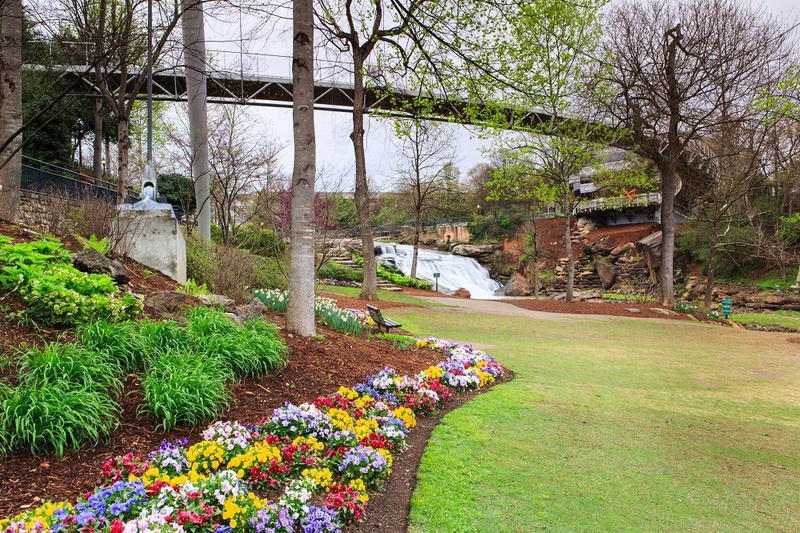 Falls Park is undoubtedly the most popular spot in Downtown Greenville. The falls are a sight all in themselves. Of course, swimming is frowned upon, as is climbing on the rocks, but the view itself is still really nice. Taking a walk across Liberty Bridge is almost an act of initiation. If you haven't done it, did you really visit Greenville? Falls Park is also host to many plays during the warmer months, as well as the occasional movie night or two. For more information and events in the park, please visit http://www.fallspark.com/167/Falls-Park. Fluor Field is home to The Greenville Drive and hosts many home games during baseball season. With tons of seats to choose from, plenty of food and drink vendors, and a talented team, a baseball game is good for a date night or a family night. Fluor Field has also been known to do an egg drop during Easter time, so if baseball isn't your type of thing, then you might visit Fluor Field for the kids! To purchase tickets for the next Drive season, or see special events, please visit http://www.milb.com/index.jsp?sid=t428. The Peace Center and The Bon Secours Wellness Arena are the two biggest performance venues in Greenville. The Peace Center is more of a performance venue for popular plays such as A Gentleman's Guide to Love and Murder, Annie, and Book of Mormon. A few musical guests such as Seal have performed there, but concerts mainly go to the Wellness Arena. The Wellness Arena (also known as “The Well” and formerly known as The Bi-Lo Center) has hosted artists such as Meghan Trainor and the Avett Brothers. Aside from being a concert venue, the Wellness Arena is home to the Greenville Swamp Rabbits, Greenville's hockey team. Both venues are known for hosting a variety of entertainment, and are sure to please any age group. 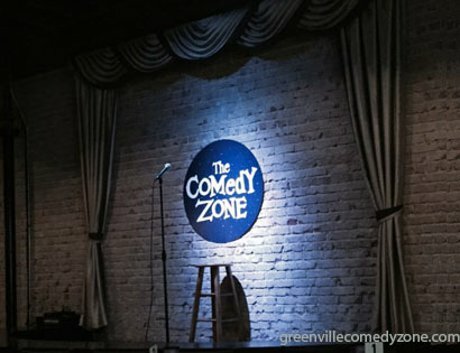 The Comedy Zone is Greenville's best place for comedy. It hosts a number of eclectic comedians every month, and even provides visitors with a chance to show their own comedic skill. Guests also get the chance to eat and drink while enjoying the show. Pour Boutique, also located Downtown, offers free admission to guests who attend The Comedy Zone shows. There are age restrictions on both places, so it's best to check https://www.greenvillecomedyzone.com/ for tickets and policies. Coffee Underground isn't your standard coffee shop. While their coffee and dessert is to die for, they also offer a theatrical aspect to their atmosphere. There are open mic nights, comedians, poets and the like. For a relaxed, coffee shop vibe along with enjoyable performances, this is the place to go. For a calendar of events, please go to http://www.coffeeunderground.info/events. The Greenville Zoo is one of the smaller zoos to exist. However, they are constantly renovating and expanding where they can to increase the quality of animal life. The Greenville Zoo provides tons of educational opportunities for kids and families. With events like Boo in the Zoo, and cheap admission prices, what's not to love about a visit? For information about animal conservation, ticket prices, and special events, please visit http://www.greenvillezoo.com/. Upcountry History Museum, The Children's Museum of the Upstate, and Greenville Museum of Art all boast a little bit of culture in their own way. These three locations hold information and fun for every age and interest. The Upcountry History museum is sponsored by Furman University, and the exhibits are constantly being changed for a wide range of exposure to different information. 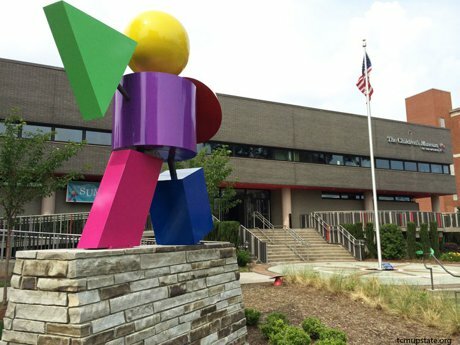 The Children's Museum has tons of interactive displays for children to get their minds running, to keep their hands busy, and to teach them about the world and the way it works. The Greenville Museum of Art is a standard art gallery that houses plenty of works for the passionate artist. All three places are known to host a variety of events and exhibitions to keep every age interested. I'm sure this isn't everything Greenville has to offer, I mean after all, it's constantly expanding, right? Though, to be fair, I made sure to list the majority of the top ten places in Greenville as ranked by TripAdvisor. That site backs up what I listed on top of suggesting even more fun around the area. I can only give so much information before you get bored, right? I'm almost done, I promise. Let's not forget that there are plenty of events during the year to look forward to, such as Ice on Main in the winter. The area in front of the Courtyard Marriott is transformed into a small ice skating rink at the beginning of the winter season and goes well into the next year. There's Downtown Alive during the summer months, which hosts a variety of food vendors and musical acts. There's Artisphere, which hosts numerous vendors that showcase their talented hard work. There's the Greek Festival, which I think speaks for itself. I could go on and on. Main Street in Downtown Greenville is the place to be for events throughout the year. Aside from these events and special places to visit, let's not forget about the restaurants and shops that line the streets of Downtown. It would take a whole other post for me to get through those as well. But just trust me when I say that they are all worth trying out. Downtown Greenville is a beautiful place and when you first get there, it can definitely seem expensive, but I promise there's activities for every wallet size. If you're a real deal seeker, make sure to check out Groupon and RetailMeNot. They both provide great deals on events and items. Groupon is better for events, and RetailMeNot is good for individual stores (though there are some unique stores in Downtown Greenville, and RetailMeNot is better suited for department stores). Whether you're new or used to Greenville, this list (and the links I provided) should hopefully get you up and around, exploring new areas and participating in fun events. Greenville has something to offer everyone and you should never be in want of something to do, no matter the time of year. 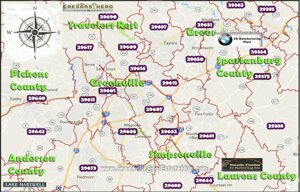 If you find yourself in want of real estate in the Greenville area so that you can be in on the action year round, contact the PRODUCER Realty team and we will surely find you your dream home so that you can claim #yeahTHATgreenville as your very own. Call 864-438-5050 or visit www.GreenvilleRealEstateHub.com and we'll start you on the search of your dreams.